The luxurious 5-star Oitavos combines ultramodern design with an untouched natural location within the Sintra-Cascais Natural Park. It features pools, state-of-the art sports facilities, an Equestrian Center, Helipad and the award-winning Oitavos golf course. All of the elegant lofts and suites are decorated with modern furnishings in white and blue colors. They all feature comfortable extra long beds, 2 flat-screen satellite TVs and a Nespresso coffee machine. The modern bathroom is complemented by a separate dresser. Some have a separate living area, while others have it included in an open plan space that stretches towards the scenic views of the private balcony, that each unit enjoys. Guests can enjoy a selection of contemporary cuisine at the hotel’s in house Ipsylon Lounge restaurant while gazing pool and garden views. Just a short 3-minute walk from the main building is the hotel’s other restaurant, Verbasco. With a more relaxed atmosphere, this dining venue specializes in Portuguese dishes and tapas. It is also possible to taste sushi, as well as special menus. A Chef’s Table experience is also available, upon previous request and availability. The bar of The Oitavos serves a wide variety of drinks well into the night. The Oitavos’s full-service spa offers natural and organic treatment products and a holistic approach to wellness. There are 10 massage rooms, while the hot tub and dry and wet saunas further allow guests to have a relaxing body experience. There is a 24-hour fitness center and regular activities, like yoga and pilates classes. The sports facilities include a Tennis court, Padel, Squash, Group fitness classes, fitness academy and a semi-olimpic indoor pool. The heated (from May to September) outdoor salt-water swimming pool is ideal for guests to relax with a cocktail or refreshing beverage from the bar. 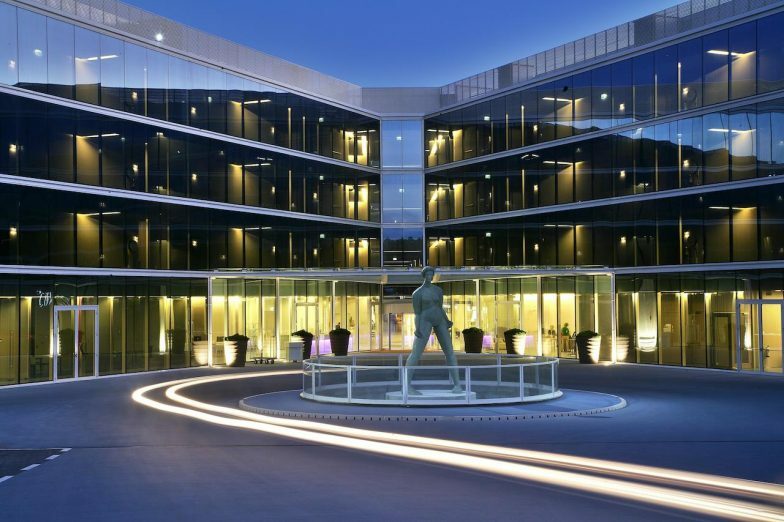 The Oitavos Hotel is located 3.1 mi from central Cascais and a 30-minute drive from Sintra, which is famed for its stunning monuments and palaces. Lisbon is a 30-minute drive away as well, featuring iconic areas and sites like Chiado, Bairro Alto and Alfama. The popular Praia do Guincho beach is a mere 5 minutes away by car. A free shuttle service is available in the Summer, upon request and availability. Bicycles are also available at the hotel.